Is there anywhere a photo of her during livetime? MS «Silvestre» was a Norwegian-built concrete boat, built in 1919. During the First World War, a series of smaller ships with reinforced concrete were built as building material; one of them was MS "Silvestre". "Silvestre" was a vessel with a concrete hull, built at Fougner Staalbeton Shipbuilding Company in Moss in 1919. "Silvestre" had several sister ships: "Namsenfjord", "Nicanor", "Carlos" and "Andres". The ship was built for the shipping company Magnus Blikstad A / S in Hølen and from 1920 Skibs A / S Maderas in Kristiania. The scarcity of iron and steel during the First World War was the reason why concrete was chosen as a building material. On the way from Son to Kragerø, "Silvestre" went on the Svartskjærbåen outside Budal west of Tjøme. 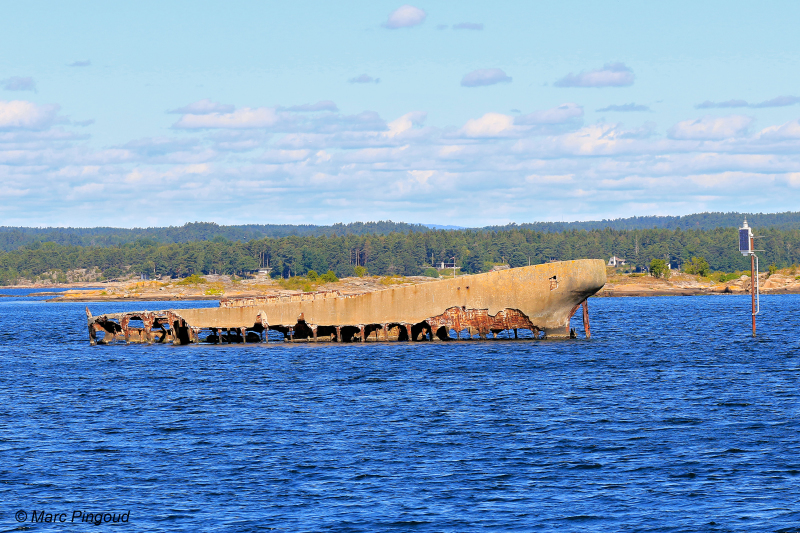 Since the sinking in 1925, the wreck has been a landmark in the archipelago at Tjøme. The wreck is easily visible from Tjøme, and is a cultural monument that is not protected. Rolf Skiold from Uddevalla used to have an awesome coverage of ferro-concrete vessels, organised by builder, on his Mareud website, now sadly closed. Fortunately most of it is still lurking in web.archive.org though most of the pics are now only in thumbnails. The page on Fougner Staalbeton yard is still available, but unfortunately he had not located any photos of SILVESTRE. There is one of NAMSENFJORD on trials in 1917.